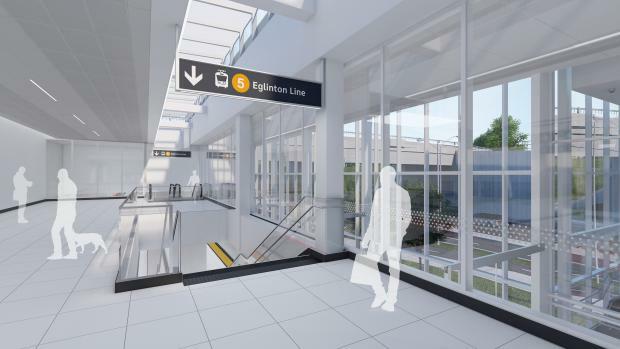 Mount Dennis Station will be the western terminal station of the Eglinton Crosstown Light Rail Transit (LRT) project, located at the intersection of Weston Road and Eglinton Avenue West. 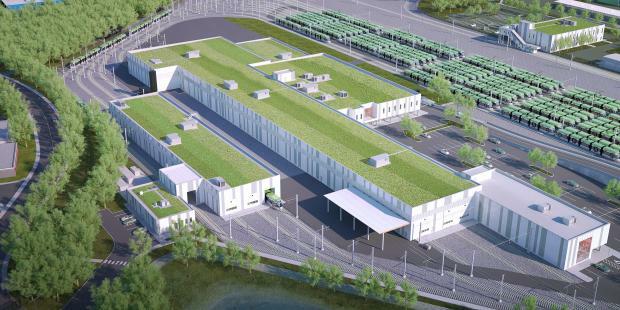 The station is a Mobility Hub and will include: a transfer to the GO Transit Kitchener Line and UP Express, an off-street TTC Bus Terminal and a Passenger Pick-Up and Drop-Off (PPUDO) area. 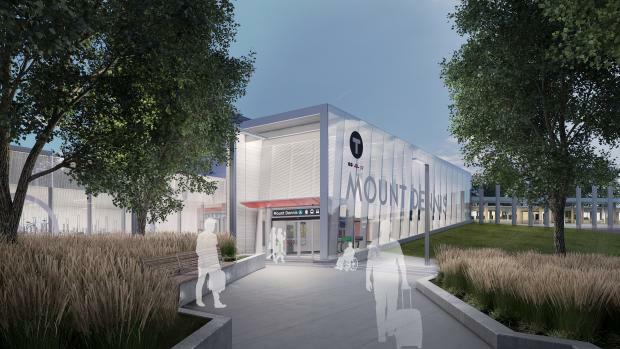 As a terminal station, Mount Dennis will include special track work for LRT operations. 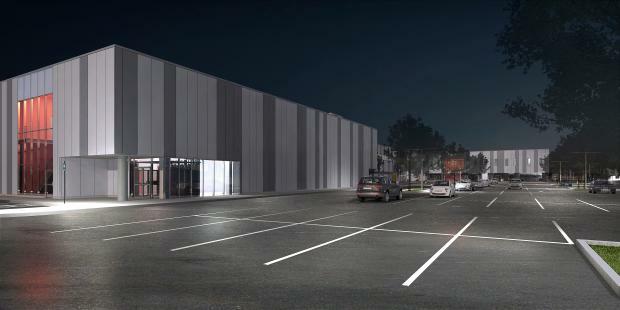 the third will be at 3500 Eglinton Avenue West. 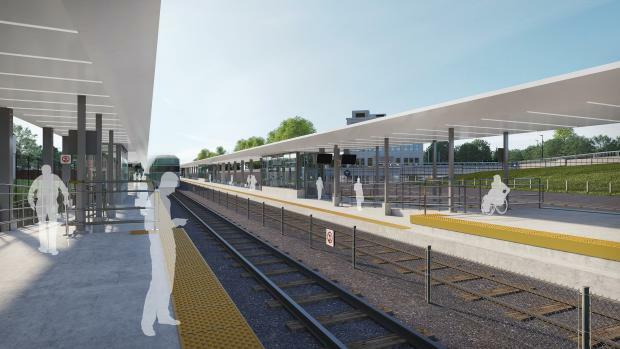 A new GO station and a new UP Express station will be constructed as part of the project. 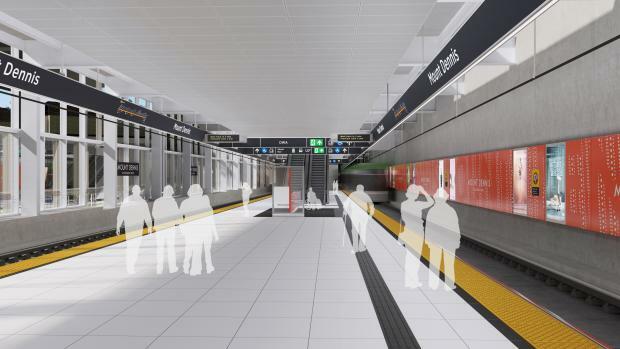 The GO and UP Express platforms will be accessible from the underground connection between the main entrance and 3500 Eglinton Avenue West. 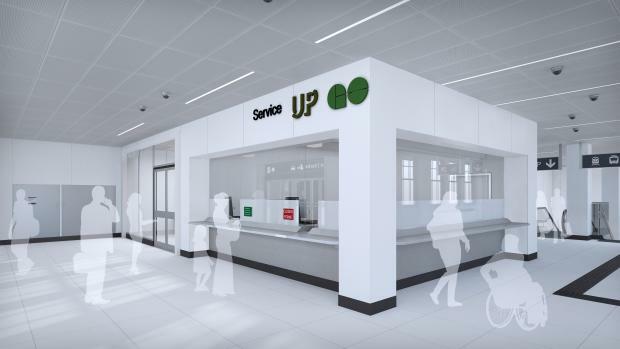 The GO and UP Express waiting area and public washrooms will be located on the main level of 3500 Eglinton Avenue West. 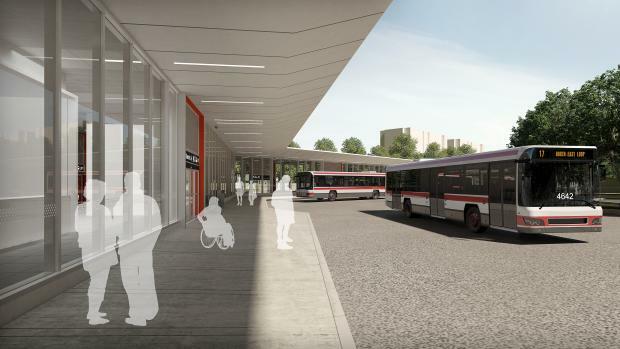 The bus terminal will include 15 bus bays for TTC buses and will have an underground, accessible connection to the 3500 Eglinton Avenue West building. 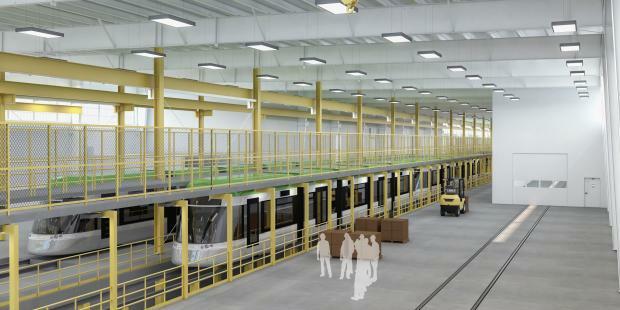 The PPUDO will be designed to be jointly used by the LRT line, TTC, GO and UP Express passengers. 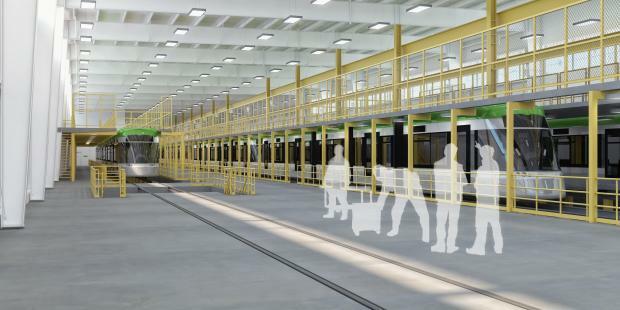 There will be four taxi stands adjacent to the PPUDO. 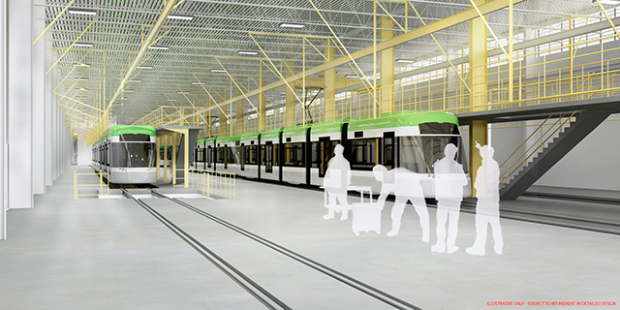 Retail spaces will be located in the main and basement levels of 3500 Eglinton Avenue West and in the bus terminal. 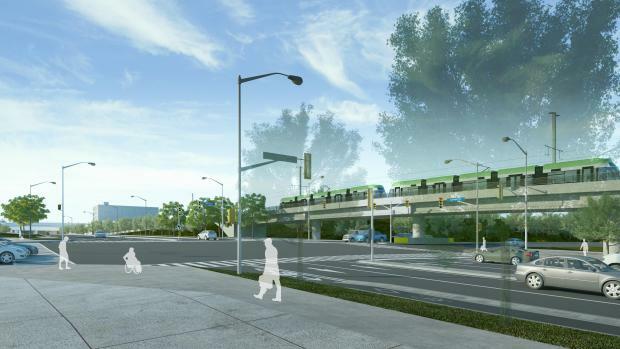 Station plazas will be located at the main entrance and at 3500 Eglinton Avenue West. 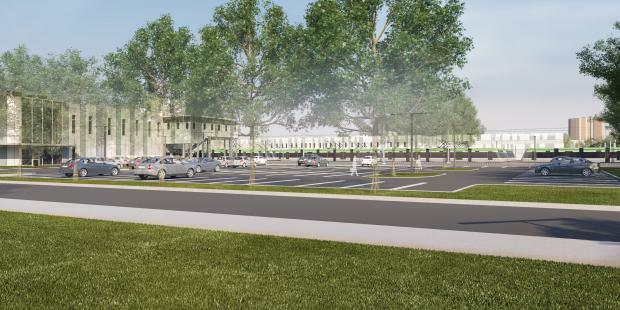 There will be 40 outdoor and 80 indoor bicycle parking spaces. 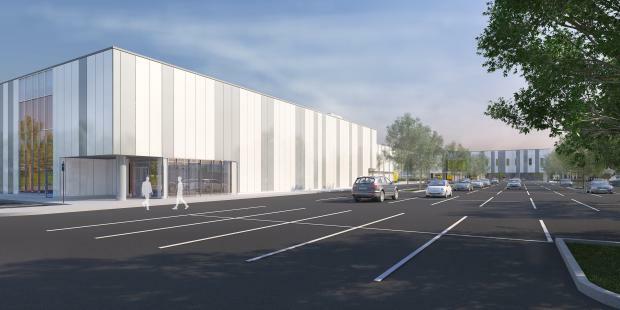 The indoor bicycle storage will be located at the main entrance. 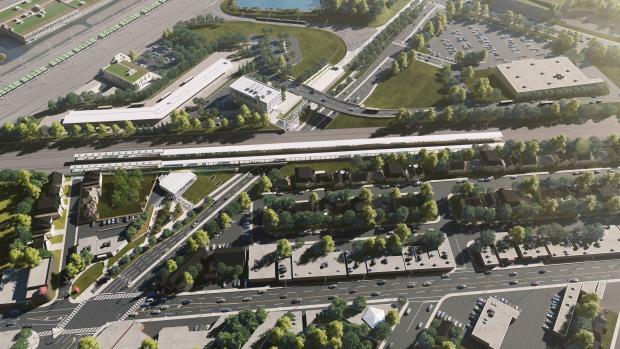 The existing Photography Drive bridge will be demolished and a new bridge will be constructed east of 3500 Eglinton Avenue West. 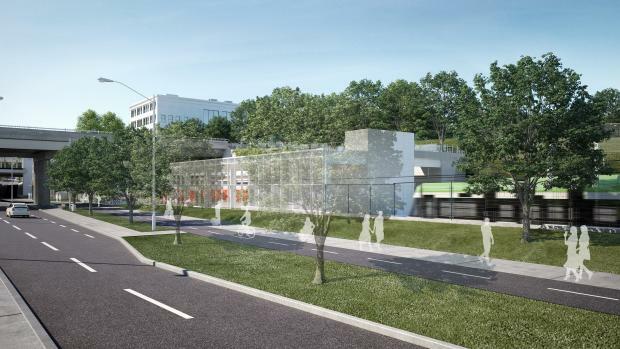 From the south side of Eglinton Avenue West, pedestrians will be able to access the Photography Drive bridge by way of stairs and a sidewalk. 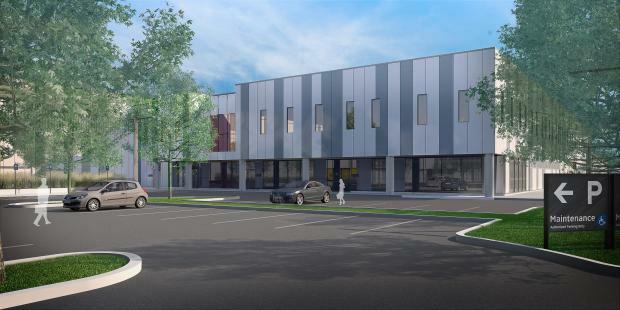 3500 Eglinton Avenue West is a four storey structure constructed in 1940 with a basement and a flat roof. 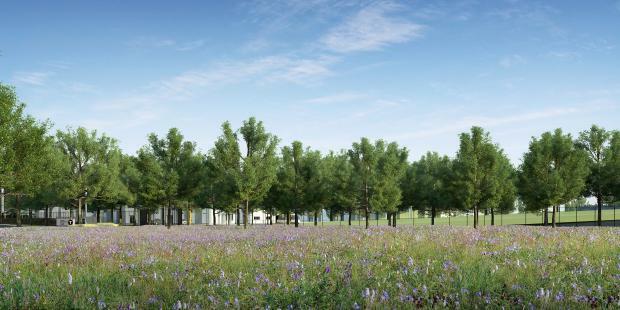 It is constructed of reinforced concrete in a portal frame structural system. 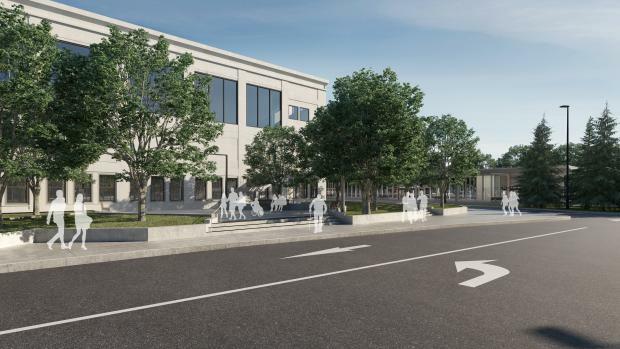 3500 Eglinton Avenue West is a Heritage Interest Building, as designated by the City of Toronto. 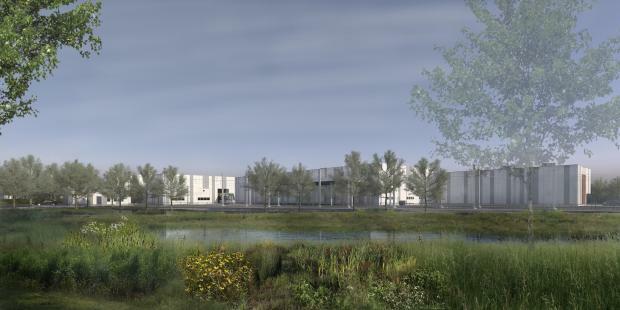 It will be renovated in conformance with a Heritage Impact Assessment. 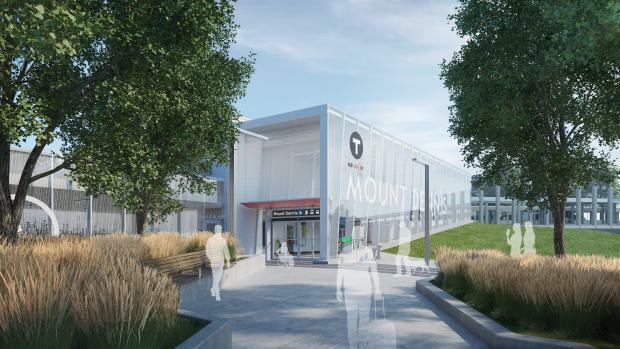 The building will be integrated with Mount Dennis station and will be the primary focal point of transfers between all modes. 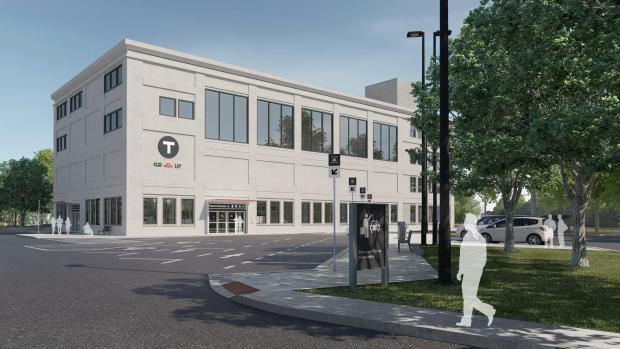 3500 Eglinton Avenue West will be accessible from the main entrance, secondary entrance and street, and not require entrance into the fare paid area. 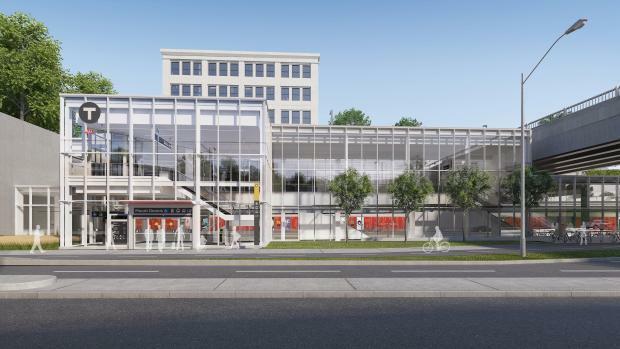 3500 Eglinton Avenue West will accommodate transit and non-transit related functions. 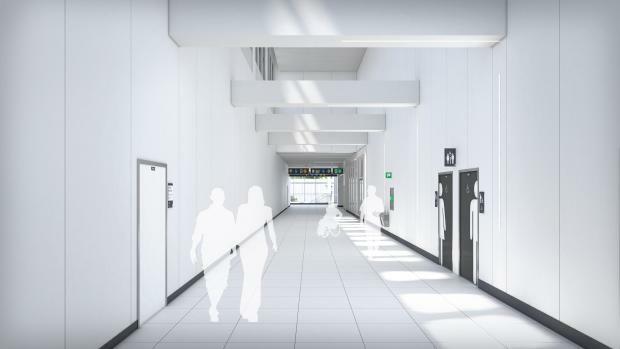 Generally, the basement and main levels will accommodate transit related functions while the second, third and fourth levels will accommodate non-transit related functions. 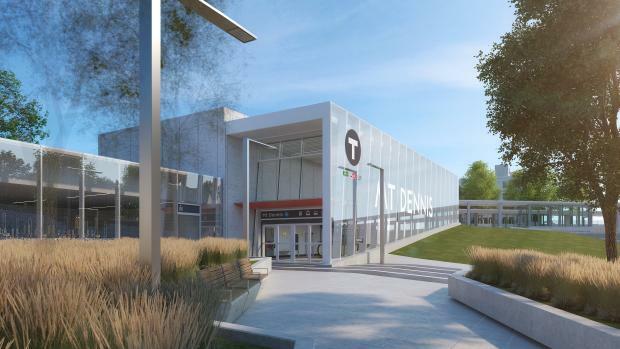 Parking spaces will be provided for the non-transit portion. 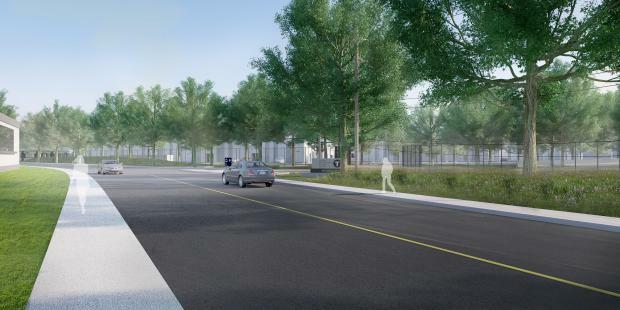 There will be a new multi-use path with three metres of sidewalk and three metres of two-way bicycle path on the north side of Eglinton Avenue West between Weston Road and Black Creek Drive. 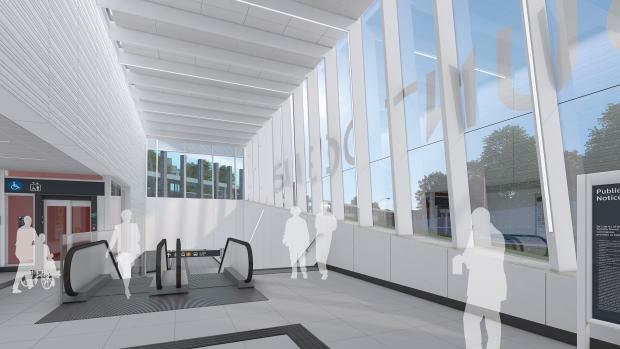 A connection will be provided from the multi-use path to the indoor bicycle storage at the main entrance.